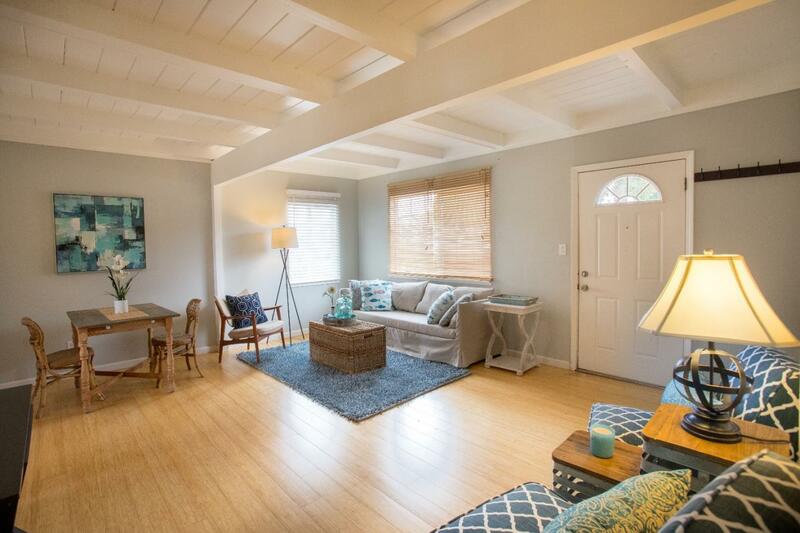 Seaside corner lot beach bungalow with open beamed ceilings and good natural light throughout. Bamboo flooring in living/dining room and bedrooms, new wood look waterproof vinyl flooring in kitchen. Attached garage has been used as family room/storage. Separate laundry room w/washer & dryer. Large backyard with double gates from side street with room for parking inside gates. Paver patio/seating area plus multiple garden areas.